The feedback from most of my readers shows that digestion issues are one of the topics that most people want to learn more about. Apparently, even on the Dr Oz show, any episodes about "poop problems" or digestion ended up being some of the most popular episodes. So pay attention to this article if you have any bowel irregularity or digestion issues at all, whether it's constipation, diarrhea, indigestion, bloating, or just irregular bowel movements. Over the last couple years, I've perfected a daily digestion-healing plan that's worked wonders for me, as well as some of my friends and clients. Quite literally, I've had some friends that either had chronic "runny stools" or constipation, and this type of plan has totally fixed their issues. A side effect of the digestion-healing meal plans below is that most people start to lose body fat faster by eating this way too! Keep in mind that I'm not "prescribing" anything here as I'm not a doctor, and this is solely my observation on what's worked for me and several friends of mine that have tried my plan, which is based on science. First, you need to identify if you have any food allergies, intolerances, or sensitivities and try to minimize or completely avoid those foods. For many people, wheat, soy, and conventional dairy are 3 issues that come up most frequently. With that said, keep in mind that certain types of dairy, such as grass-fed Kefir can actually be a very strong healer of digestion issues due to the extremely powerful probiotics in kefir which help to fix harmful bacterial imbalances in your gut. And kefir is also 99% lactose-free since the friendly bacteria pre-digest almost all of the lactose. So kefir ends up being one of the most digestible forms of dairy. Read my article here about why kefir is 5x more powerful than yogurt in my opinion. Also, keep in mind that it's generally either the lactose in dairy or the proteins in dairy that some people can be sensitive to. But many people don't realize that they can still reap the health benefits of dairy fat, including the CLA, vitamin K2, and omega-3's of grass-fed butter and cream without anything more than traces of lactose or dairy protein. If you don't currently know if you have a sensitivity to gluten, one test that you can consider running on yourself is to completely avoid any wheat-based foods (that means no bread, muffins, pasta, cereals, crackers, etc) for 2-3 weeks and see if you notice a considerable improvement in your digestion and your bowel movements. 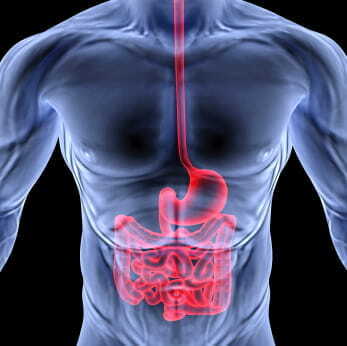 Many people are quite pleased to find that their digestion problems start to go away within the first 2 weeks of eliminating wheat from their diet, as the constant inflammation that can be caused by gluten (and other antinutrients found in wheat) in the digestive tract subsides once they stop eating so much bread and cereal. This should be obvious, but to be clear, you also need to avoid junk foods that are loaded with sugar, trans fats, corn syrup, and chemical additives too, as these all can cause digestion problems and other health issues. It should also be noted that many grains and legumes in general have the highest concentrations of any foods of gut-harming lectins. While some people may be able to get away with eating a lot of grains and legumes without any noticeable harm to their gut, many people need to minimize or eliminate grains and legumes in order to heal a damaged gut. Personally, I've noticed that when I eat beans that my digestion suffers, and it's not pleasant on the toilet the next morning. I've personally had to minimize beans in order to help fix my digestion. Some people may do fine on beans, but a lot of people don't, so it's a worthwhile test to see how you handle beans, and minimize if they give you problems. I've been amazed at the power of fermented foods (loaded with probiotics) and how dramatic the improvement to digestion and bowel movements can be, since many digestion and bowel issues are caused by either a harmful bacterial imbalance in the gut and/or too many foods that cause inflammation. I've had at LEAST 6-8 friends of mine that started trying a similar food plan that I lay out below and their chronic constipation, runny stools, or indigestion completely cleared up within one week of starting this type of plan. Keep in mind that the VARIETY of probiotic sources is what I consider to be most important, as each type of food or source has different strains of good bacteria that have different health benefits to your digestion or immune system. Even though I've always eaten healthy at least for the last 15 or so years, I didn't focus more on probiotic intake, except intermittently, until the last couple years. Over the last year or so, I've focused a LOT more on getting DAILY sources of probiotics instead of just occasional, and the results have been phenomenal to my digestive system! In previous years, I would only occasionally eat fermented veggies like kimchi or other krauts, and I would occasionally drink kefir a couple times per month. But that's changed, and my digestive system is LOVING my new plan. *Organic Valley brand has a great pasture-raised cream that I've found at many grocery stores. *The fermented veggies are also a particularly powerful source of probiotics with different strains from what you get in yogurt or kefir for different health benefits for your digestive system and immune system. I rotate a different type of fermented veggies each week and have found some really tasty varieties at Whole Foods or at a local health food store... my favorites that I rotate are kimchi (Korean style), fermented carrots (carrot kraut), fermented beets (beet kraut), and one that I found called Jungle kraut, which seems to be purple cabbage, carrots, etc. I've noticed that some people that don't like the taste of typical fermented cabbage dishes end up really liking the fermented carrots or beets instead. TMI alert: Several friends have told me that their years of poop problems completely cleared up after only 1 week or so of including fermented veggies each day with their meals as well as Kefir. *Kefir is a super-healing food for the digestive system. Remember that natives of the Caucasus mountains in eastern europe routinely live to over 100 years old and one of their favorite daily drinks is full-fat Kefir! Kefir has quite a bit more probiotics than yogurt (2x-10x more), plus is generally 10 or more strains of probiotics vs only 3-4 strains in most yogurts. Most types of kefir have anywhere from 7-50 Billion probiotics per cup depending on brand. Note that according to their website, Lifeway brand kefir (one of the easiest brands to find at most stores) is made from 100% grass-fed dairy in all of their products even though they don't include "grass-fed" or "pasture-raised" on the label. I've found that one of best ways to get and stay very lean is to keep dinner based around a healthy type of meat, and a bunch of veggies and/or root vegetables. It keeps the evening meal relatively lower-carb with minimum impacts on insulin, but loaded with nutrition and hormone-balancing healthy fats. It also keeps the meal gluten-free and fairly easy on the digestive system if you avoid grains and legumes at this meal. Keep in mind that there ARE certain times when you can get TOO many veggies (especially RAW veggies, which are tougher on the digestive system), and they are not always easy on the digestive system, as I explain in this article -- Can you eat too many veggies? Note that I used to eat a raw salad with dinner every night, but I realized that my body was not processing the raw leafy greens that well, and was causing me digestive stress from too much raw insoluble fiber. When I eliminated the raw greens salad from my nightly dinner, I noticed an immediate improvement in my digestion. I've found that my body LOVES root vegetables like carrots, beets, and sweet potatoes, but my digestive system HATES leafy green salads. This is an important thing for you to test personally. Most people just assume that salad is always good for you, but if you have digestive issues, that's not always the case, and you should test if you have better digestion and better poop when you eliminate salads. I know many people that dramatically improved their digestion and poop when they stuck to cooked veggies or fermented veggies (which are easier to digest), and stopped eating so much raw salad. Note that if you're constipated, most times, salads will help, but if you're prone to looser stools, salads may be hurting your digestion more. Once or twice a week, I'll also grab a Kombucha tea (a fermented probiotic tea) if I'm out and about, which is another good source of probiotics, although not as powerful as the others I listed in the above plan. There you have it! Again, this is NOT a prescription for any health condition... this is solely my personal digestion-healing plan that I've used with great success and that many of my friends and clients have used to fully HEAL many of their digestion and bowel problems. Lastly, please remember as we've discussed in other articles recently that antibiotic use can harm your good to bad gut bacteria balance, and can even cause weight gain , while also leaving your immune system more susceptible to further infection since the antibiotics kill a good portion of your good bacteria, which are a major part of your immune system. As I mention in that article, be cautious about antibiotic use and always question your doctor about whether antibiotics are absolutely necessary (in most cases, they are not). I would personally only use antibiotics for some sort of life threatening emergency, but would never use them for just a common winter sickness.